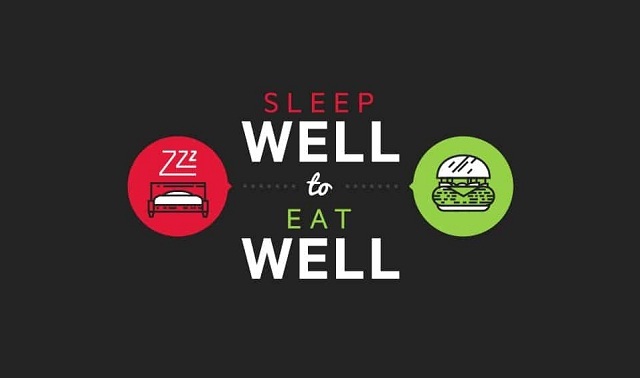 Sleep Well to Eat Well #infographic ~ Visualistan '+g+"
Crave junk food at your job? Blame late-night Netflix binges or whatever else keeps you up at night. The Centers for Disease Control and Prevention estimates as many as one-third of Americans don’t get enough sleep. Exhaustion is not only a productivity killer: Research suggests it’s also disastrous for your diet. Pushing the snooze button too many times makes it tough to prepare a healthy breakfast at home in the morning. To make it worse, fatigue may make us hungrier, desire more calorie-dense comfort food, and lack the willpower to pass up treats. Keep reading to learn how sleep deprivation impacts your food choices. Then find tips to get enough restorative sleep (which may make it easier to reach for kale chips instead of a candy bar).